In honor of the firm’s 25th anniversary, the attorneys at Weld Riley, S.C. are making a huge difference this holiday season for kids in our community by donating 25,000 meals to Kids Against Hunger and are packing 2,500 of the meals on December 13. 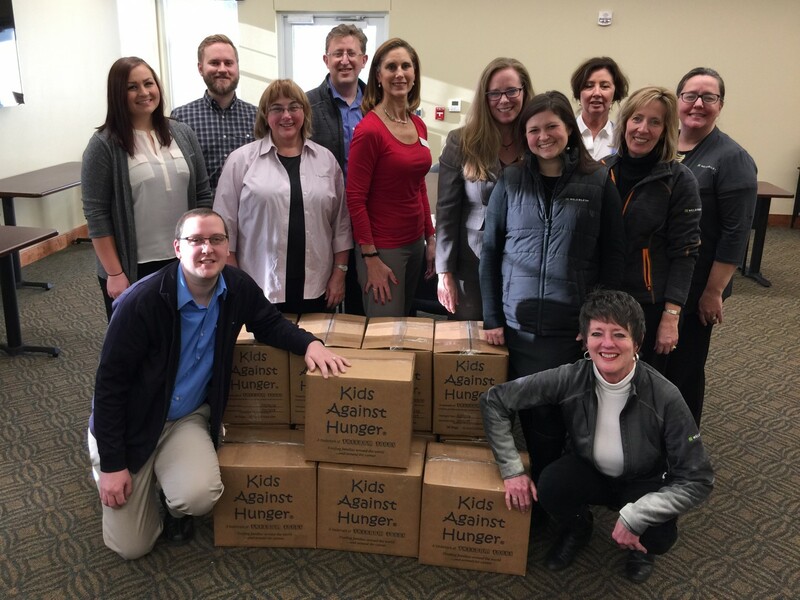 “It is important to all of us at Weld Riley to give back to the community that has supported us for the past 25 years, and we are proud to donate 25,000 meals for children in the Chippewa Valley,” said Christine Gimber, Managing Partner at Weld Riley, S.C. Attorneys from Weld Riley, S.C. packed 2,500 of the meals on their “Silver Service Day” at Grace Lutheran Communities Capernaum Community Center. In partnership with the Chippewa Valley After Hours Rotary Club, the Menomonie Rotary Clubs and Kids Against Hunger, Weld Riley, S.C. is donating the meals to Feed My People for distribution throughout the Chippewa Valley to kids in need. The goal of Kids Against Hunger is to provide a stable nutritional base from which recipient families can move their families from starvation to self-sufficiency. The Menomonie Rotary Clubs brought Kids Against Hunger to the Chippewa Valley and began a partnership in the last year with the Chippewa Valley After Hours Rotary Club to extend areas of impact into Eau Claire and Chippewa counties. “We’re grateful to the Chippewa Valley After Hours Rotary for this opportunity to help us make a huge impact for our Silver Service Day,” said Gimber. Weld Riley, S.C. has offices in Eau Claire, Black River Falls and Menomonie and serves both private sector businesses and public sector clients, including school districts, county governments and many municipalities around western Wisconsin.